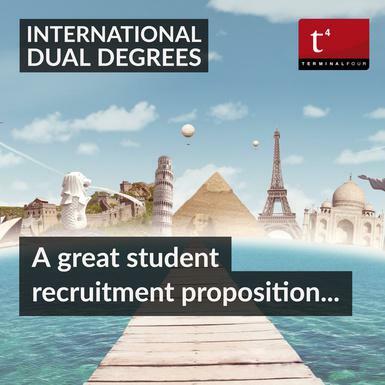 Why dual degrees could increase your international student recruitment numbers! The world is becoming an increasingly global place. Companies have offices in cities all over the world and they want their employees to be similarly internationally minded. A few weeks back, Trinity College Dublin, announced that for the first time, it would be offering dual degrees with Columbia University in the arts and humanities. Students will spend two years in each respective university and at the end of the four-year period will receive degrees from both universities! We have to say, this sounded almost too good to be true, but we assure you it is. This is the first time that Trinity College Dublin has offered such a programme while Columbia University offers dual degrees with Paris Institute of Political Sciences and City University of Hong Kong. The programme is primarily aimed at international students with Trinity stating that the programme has proven "extremely popular with prospective students, with a high number of applications received from more than 20 countries worldwide including Ireland, the US, UK, India, Brazil, Canada and China among others". In addition to proving an attractive proposition for international students, dual degrees allow afford institutions the opportunity to pool educational resources and use complementary teaching expertise to build study programs that they otherwise couldn’t offer. There is plenty of data to suggest that dual degrees are on the rise and in many institutions around the world come as standard. 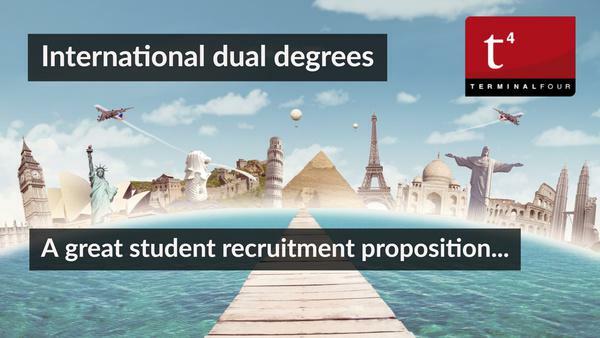 For international students, dual degrees give them the opportunity to experience two campuses, two cultures and two ways of teaching for the price of one. For universities, it’s a strategically advantageous move to align yourself with a prestigious institution in another part of the world. It puts your university in the path of their marketing efforts and opens you up to their pool of international students.